Travel not only stirs the blood. . . It also gives strength to the spirit. Cruising on a gulet in the Greek Islands is an extremely popular request from our clients. The opportunity to visit the islands of your choice according to your own pace makes the Greek Blue Cruise an ideal choice to see Greece without ever looking at a ferry schedule. Only 10 nautical miles from Bodrum is Kos, the nearest Greek port of entry from Bodrum. Home to the world's first hospital the Asclepion, Hippocrates wrote his Hippocratic Oath on the island of Kos and taught his students the art of encouraging the body to heal itself. Kos Town has a wonderful outdoor cafe culture, lively nightlife and good shopping. 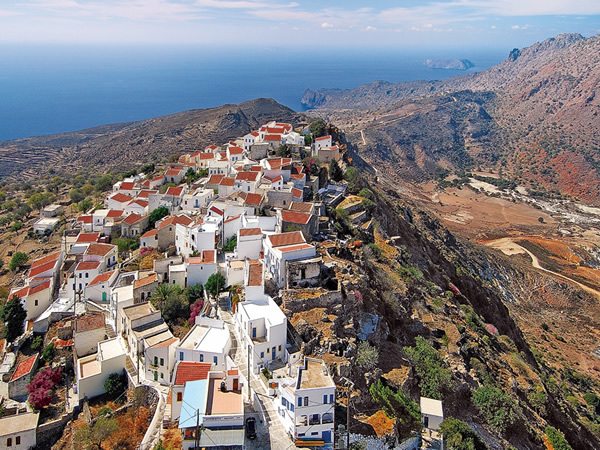 With a rental car or scooter, it's a joy to explore the quaint mountain villages with spectacular views over the Dodecanese. How does the Blue Cruise in Greece differ from the Blue Cruise in Turkey? There are several important considerations to bear in mind when booking a Greek Blue Cruise. As the yacht will be exiting Turkish waters and entering the European Union, there will be customs and immigration paperwork as well as the costs for these on top of the charter fee. These costs can be estimated in advance depending on the exact itinerary and the length of the gulet. Greek port fees will also apply on some islands, depending on the mood and availability of the harbor master. Lastly, on some islands, the yacht will need to overnight in the harbor as opposed to being at anchor. To the north of Kos lies the sponge-diving island of Kalymnos. Originally one of the wealthiest Greek islands due to its lucrative income from dangerous sponge diving, Kalymnos has only recently become more tourist oriented, and is a favorite destination for rock climbers due to its sheer drops. One of the highlights of sailing to Kalymnos is the quaint little port of Vahti with its fjord-like entrance. Further north of Kalymnos lie the islands of Leros and Lipsi. Leros was one of Mussolini's favorite islands and his former villa now operates as a museum. Leros also contains very unique art deco architecture with its houses, setting it aside from the more traditional Greek homes. Lipsi is a charming little island with a great hike up to its monastery, or just wandering around her little port with winding, twisting Greek alleys and cafes. The northern most island to be reached comfortably in a week-long cruise is Patmos. The monastery, the visual beauty, the Cave of the Apocalypse and her charming harbor all contribute to her wow-factor. ﻿Heading south from Kos is the active volcano of Nisyros. With views just as stunning as those on Santorini, you can explore the caldera of the volcano and the extraordinary museum dedicated to plate tectonics of the Aegean before settling in with an ouzo to a spectacular vertical drop with views all the way to Rhodes on a clear day. The next island to the south is the teardrop shaped Tilos. Once home to pygmy dwarf elephants, there is a little museum located on the mountain top village in the center of the island with a passionate curator who will explain the history of these elephants and their interaction with humans. South of Tilos is the quintessential little Greek island of Symi. With her unique pastel colored, sugar cube houses which adorn the harbor, she is an absolute joy to explore. Quaint tavernas, boutique shopping and a friendly, welcoming atmosphere keep her as an annual highlight of Greece. Last of the Southern Dodecanese islands is Rhodes, the largest and grandest of the 12 islands. 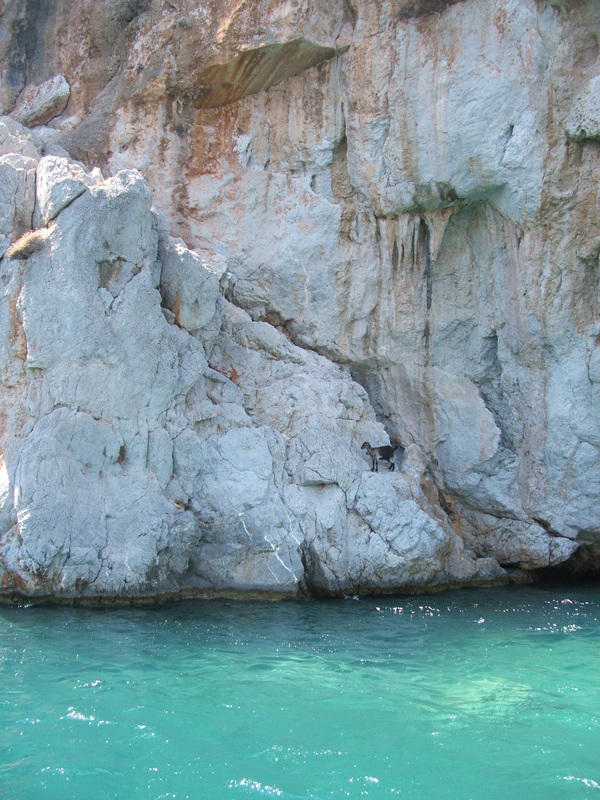 That's our brief introduction to a Greek Island Blue Cruise - see more here on our slideshow.